With three thousand years of history under the streets and home of the modern village, Molyvos combines layers of an intriguing and still tangible past with the charm of its pristinely maintained and lived present. Perched on a rocky hill situated at the North-Western part of the Island of Lesvos, Molyvos, or – as the village was known in antiquity and the Middle Ages – Mithymna, has always maintained a close link with both the eastern and western worlds. With Asia just ten miles away, the inhabitants of the region opened themselves up to foreign influences and lifestyles from early on. Today, they still oblige the visitor by extending a warm welcome in their wonderful corner of the world. Molyvos is a picturesque village of roughly 1000 permanent residents that has been continuously inhabited since antiquity. 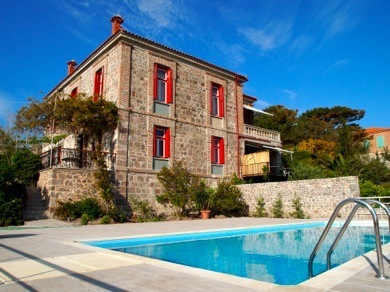 It is located in the north-western corner of Lesvos, approximately 64 km from the harbour of Mytilene and 68 km from the airport. Molyvos offers a wide variety of attractions that cater to the interests of every age. For children Molyvos becomes an explorer’s paradise. 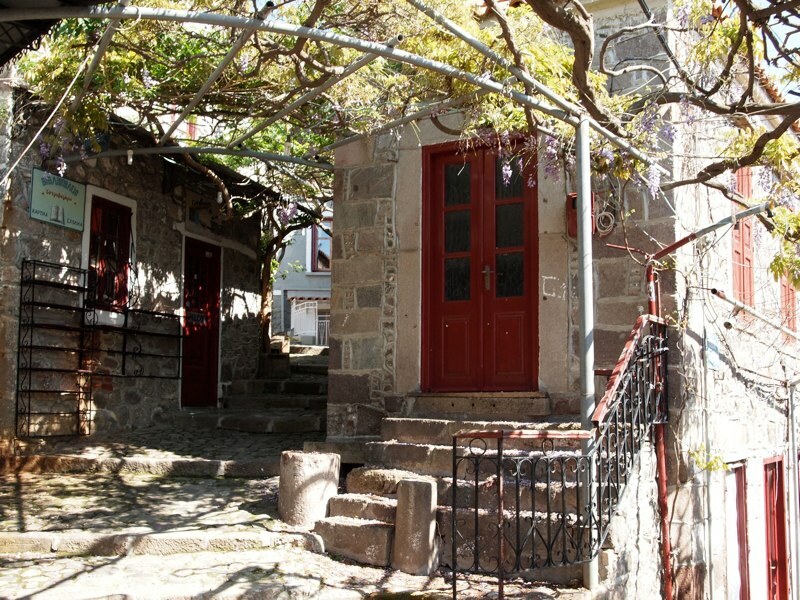 There is a maze of cobblestone streets set into the hillsides and a harbour to navigate. The medieval castle awaits exploration, while the easily accessible beaches offer opportunities for all day play. Adults will enjoy the fresh produce, fish, herbs, organic meats and vegetables as well as locally grown olive oil, all sold by Molyvos’s grocers, while well-prepared meals and delicacies are served in over 50 restaurants of varying price-ranges, cooking styles, and views onto the beautiful bay before the town. Excursions to nearby Petra, home to a hilltop cathedral church and extensive shopping opportunities may easily be taken on foot, bike, scooter or car. Many visitors rent cars and explore neighboring villages such as Skala Sikaminias, where delicious lobster pasta can be had if you call ahead! Nearby hillsides are home to herds of sheep and goats that graze among the olive groves and the greenery of Lesbos’ gently rolling hills. Lesbos benefits from the highest average sunshine in all of the country and is an ideal destination for the traveller seeking relaxation, warmth, and history in every season! 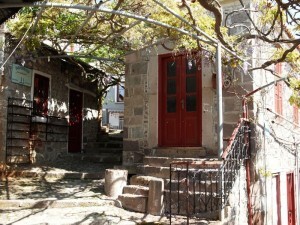 Visits to Molyvos in April and May expose the traveller to luscious Green landscapes and the opportunity to connect with bird-watchers and other nature enthusiasts. Bi-weekly day trips to Turkey may be organized from Molyvos with the option of a guided tour or a simple boat passage across the ten mile wide channel that separates Europe from Asia. 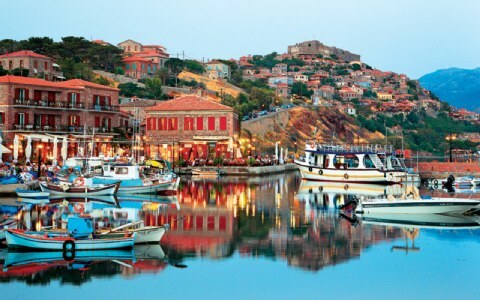 The coastal city of Ayvalik, ancient Assos and Pergamon, as well as Smyrna a few hours drive from Ayvalik are all options for the curious visitor.